There are many dishes that I have on my list of yummy things to make after watching the MasterChef Australia 2009 series – and this was one of them. You may have already seen my first MasterChef challenge – the Crouquembouche, which I will be making again (not necessarily in a cone shape – perhaps just profiteroles filled with gorgeous custard, placed on baking paper and toffee poured over them, thereby reducing any injury due to placing fingers in hot toffee). The judges absolutely loved the contestants’ sticky date puddings for this pressure test, with none of them being eliminated as they had all done so well. A friend at work had also made this dish – at least 3 times, so I figured it must be good. I thought the dish was very lovely, although I think my expectations on taste had been lifted so high from the Crouquembouche that it didn’t live up to that recipe. The butterscotch sauce was easy and beautiful (I love butterscotch flavoured desserts) and the praline was quite nice too (although when I poured it over my almond slivers, it tended to push them away rather than flow over the top – not sure what I did wrong). 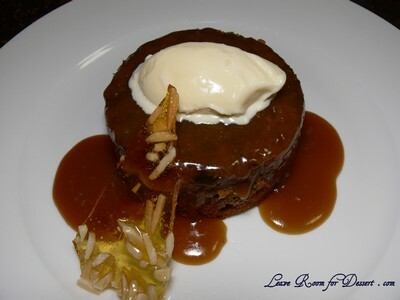 The sticky date pudding itself was very tasty, even though I don’t normally like sticky date puddings out at restaurants. bicarbonate of soda, stir until dates start to break down, set aside to cool, stirring occasionally. Beat butter and sugar in a bowl using a hand beater, gradually add eggs one at a time, beat until light and fluffy. Add date mixture, stir to combine. Carefully fold through sifted flour, divide mixture evenly between the eight moulds (I used 6 ramekins), until 2/3 full. Place moulds in a baking tray, carefully pour water in tray until it comes up 1/3 of the side of the moulds. 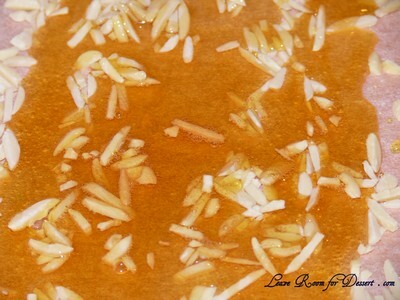 Bake in oven for 40 minutes or until golden and skewer comes out clean. Meanwhile, for the almond praline, combine sugar and 2 tablespoons water in a saucepan over medium heat and cook caramel without stirring, swirling pan, until deep golden. 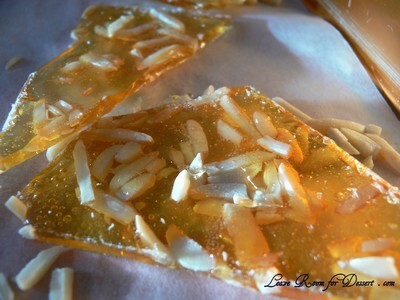 Scatter almonds onto a baking paper-lined oven tray, pour over caramel and cool until set. Break praline into pieces. 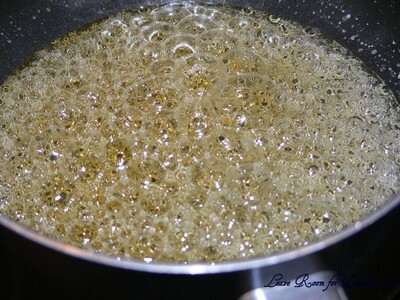 For the butterscotch sauce, combine butter, sugar, cream and vanilla in small saucepan over low heat until butter melts and sugar dissolves. 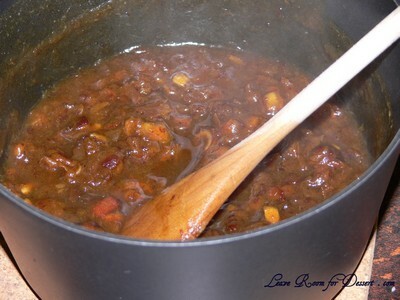 Bring sauce to the boil, reduce heat and cook for 5-6 minutes or until sauce thickens slightly. 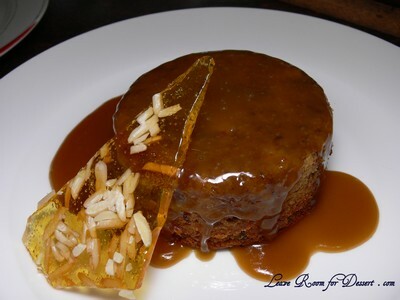 To serve, invert the hot pudding onto a serving plate, top with butterscotch sauce and shards of praline. Filed under Cakes, Slices and Biscuits, Dessert, MasterChef, Recipes. You can follow any responses to this entry through the RSS 2.0 feed. You can leave a response, or trackback from your own site. Awesome! This looks great. 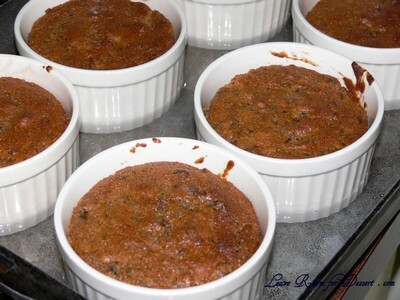 I recently made Sticky date pudding using a Donna Hay recipe and it was super easy and delish. I’ll have to try this one. Where did you get so many lil ramekins from? You’re the first person I’ve come across who has made recipes the Masterchef. Well done, the pudding looks great, especially the praline. 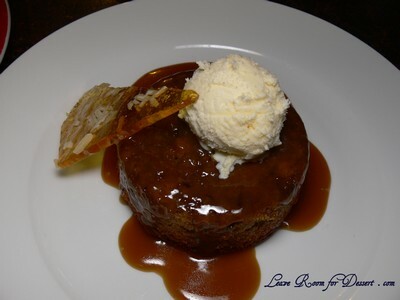 Love the toffee nut shard and the sticky date pudding looks so inviting with the pool of butterscotch sauce! Anita, you have hit on a soft spot with me here. I don’t order it out because I – like Y – like to make it at home and make sure I get a generous portion! Love the praline. 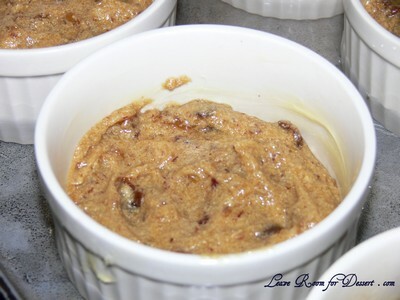 Oh I have never heard of date pudding before, and I love the way it looks so moist and dense! I’ll bet it’s finger-licking stickily good! Ooohhh everything I love! 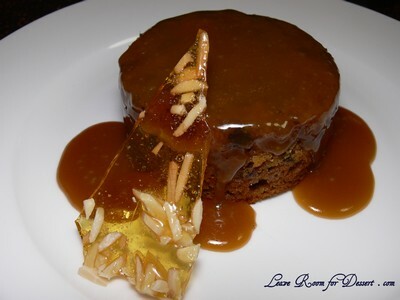 Sticky date pudding… almond praline… butterscotch sauce… ooohhhh! With some excellent vanilla ice cream (yes! more sugar and fat!) and I’d totally be in foodie heaven! I love sticky date pudding, but there was something about the masterchef recipe that turned me off. I think its might be because it didnt look overly moist and sticky enough for me. But I’m glad to see that your versions look stunning! another great achievement! This is such an old school dessert, but it’s one of my favourites. It has all the different textures and temperatures which make a good dessert, well done! That looks great. 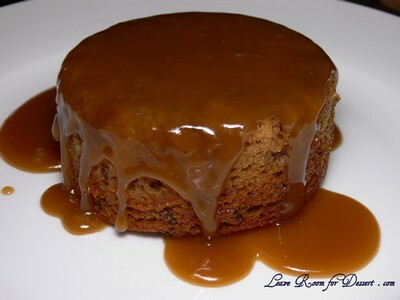 I love dates in just about anything, but sticky date pudding in particular. The praline looks great too! OMG anita thats incredibly delicious, love the butterscotch sauce..hmmmmmm! This looks divine! This is a perfect dessert for my–all my favorite flavors. This recipe is marked on my ‘must try’ list but I haven’t had a chance to give it a go. You make it look easy though! Hi everyone 🙂 Thanks for your lovely comments! Hi Zita – Hehe 🙂 Thanks, I’ve been enjoying making the dishes, but have a heap more to make. Hi Zina – Definitely make this, and the custard from the Croquembouche if you don’t want to try the whole thing. Hi Anita – The ramekins are Maxwell Williams ones, I got them a few years ago at Myer. Hi Belle – 🙂 I’ve seen a few other recipes from MasterChef, I can’t wait to try them. 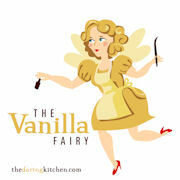 Hi Lorraine – The praline was a lovely addition. Hi Y – hehehe, exactly! Hi Julia – Thanks, and I agree too. Hi Sophia – Really?! Well, I hope you try it! 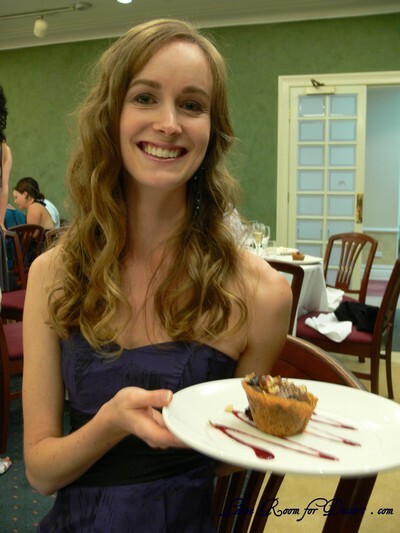 Hi Trisha – Mmmm.. ice cream went well with it, and I love butterscotch sauce, so it was a fantastic dessert! Hi Maria – Hmmm, it was nice and moist, not too sticky. Hi Howard – It is a bit old school, isn’t it… It was my first time at this though and it was great. Hi Parita – 🙂 thanks heaps. Hi Rilsta – I hope you get around to making it!! hi, I love your sticky date look.It’s quite tempting at the moment, so I got up & made a fresh batch of sticky date pudding but what I’d like to know is, can I pour the batch into a normal cast iron baking try(that’s all I got at the moment) & cook as is without a bain marie? please help!!! thanks. Yum! I’m using this recipe to make the sauce now!